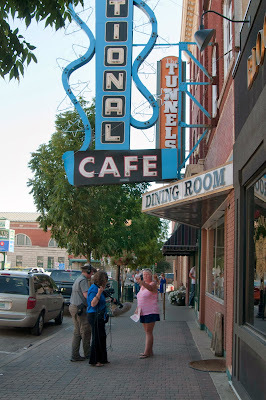 The Tunnels of Moose Jaw are a great tourist attraction playing up the history of the city, including the possibility of Al Capone having spent time there. Originally, in the late 1800s and early 1900s, the tunnels that Moose Jaw has running below Main Street and along that area were likely built and used for engineers to work on the heating system without having to brave the elements in the harsh prairie winters. It provided an alleyway leading from one building to the next. When Chinese immigrants began to enter the country and some made their way to Moose Jaw, it is said that many lived in the tunnels as a way to survive because of their poor pay. The Tunnels of Moose Jaw website has gathered testimonies from various individuals saying that Al Capone, a major gangster from Chicago, would visit Moose Jaw to check on the Canadian side of his business. Other hints include various aliases of Capone being used throughout Moose Jaw, but whether the name used was real or was an alias of Capone is unknown. Though the Tunnels of Moose Jaw make for a fantastic tourist attraction, the problem remains, no one can prove that Capone himself visited the city. 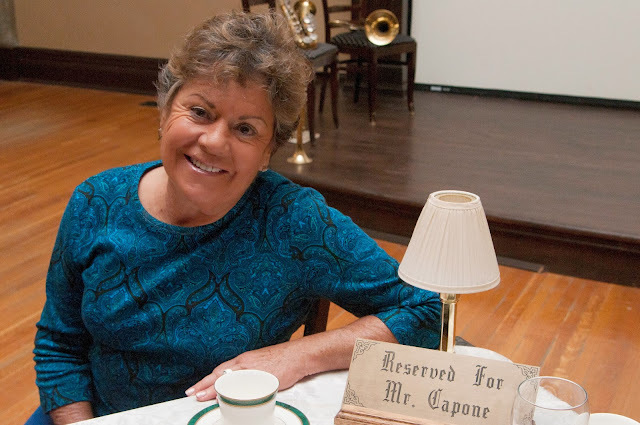 Capone’s grandniece Deirdre Capone is looking into the connections of her family to “Little Chicago.” In relation to this filmmaker Kelly-Anne Reiss is producing a documentary of attempting to make a tangible connection to Moose Jaw. This I think is quite exciting because whether he was truly in Saskatchewan or simply running a business that happened to have connections here, there is evidence that bootleggers and gangsters were run of the mill along River Street that was the hub of illicit acts. City of Moose Jaw on the Tunnels. Though people are still attempting to make the Capone, “Little Chicago” connections there is one rumrunner who lived in Moose Jaw and became very proficient in smuggling hard alcohol from Manitoba to Moose Jaw, Annie Hobert. Owning a restaurant in the late 1800s, early 1900s Hobert would hide liquor under her skirts or petticoats which had been fitted to hide the liquor. She would travel to Winnipeg to obtain the liquor and once she became confident in her travels began to think of clever ways to bring more back to the Railway Restaurant she owned. Passing kegs of whiskey off as sleeping babies in a carriage or masking crates of alcohol as dried beans or flour. She was doing very well for herself in a lucrative business until a crate, which had been disguised as common foods fell. Caught, she paid a fine and decided to live the rest of her life in Manitoba. Though I had been to Moose Jaw before, it wasn’t until grade eight on a field trip for English class after reading Tunnels of Time: A Moose Jaw Adventure by Mary Harelkin Bishop. We were taken through both The Chicago Connection and Passage to Fortune. Both were extremely interesting and I believe that this is one of the reasons I became fascinated by history. It’s those little, unique stories that pull at people’s minds and make them want to learn more. If it’s not compelling people usually don’t care, which is why a hub of gangster activity, crime, and intrigue in our backyards is captivating. It’s the things of movies and books, not a reality of what Saskatchewan was like in the early 1900s... or was it?